Eagles use balanced attack to earn victory. OAKLAND — The Sophie Holmes show made its appearance, as expected. 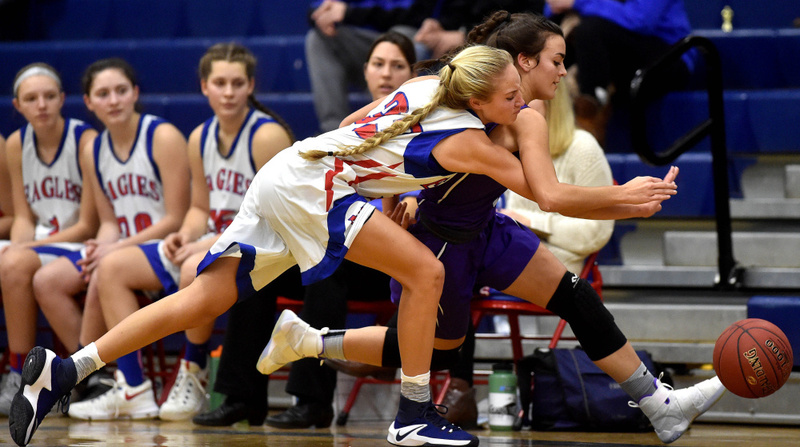 But as the Messalonskee High School girls basketball team showed Waterville — and the rest of the Kennebec Valley Athletic Conference — the strength of the Eagles runs far deeper. 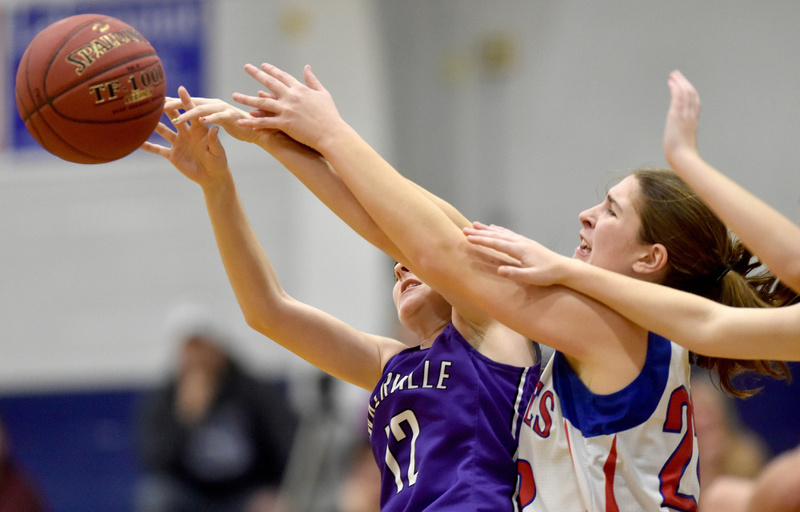 Holmes scored 16 points, McKenna Brodeur had 13 and Messalonskee put forth another dominant effort in a season full of them, brushing off Waterville 64-21. Few teams can beat Messalonskee (7-0) when it plays the way it did Wednesday night. Three players scored in double figures and five had eight or more points for the Eagles, who seemed to click no matter who had the ball, or from where on the court they shot it. Messalonskee was far from perfect at the start, opening with five straight misses and taking only a 10-6 lead into the second quarter. None of the Eagles, however, were fazed. The formula worked, with Messalonskee leaning on its star guard to pull away. Holmes knocked down a pair of 3-pointers to up the advantage to 16-6, and then after Brodeur turned two steals into layups in transition, Holmes hit her third 3 to increase the lead to 23-7 with 3:29 to go in the half. It was part of a 16-1 run to start the quarter, and it was effectively the end of the game. Holmes finished with nine points in the quarter, giving her 14 for the half, and Messalonskee was ahead 32-10 at the break. 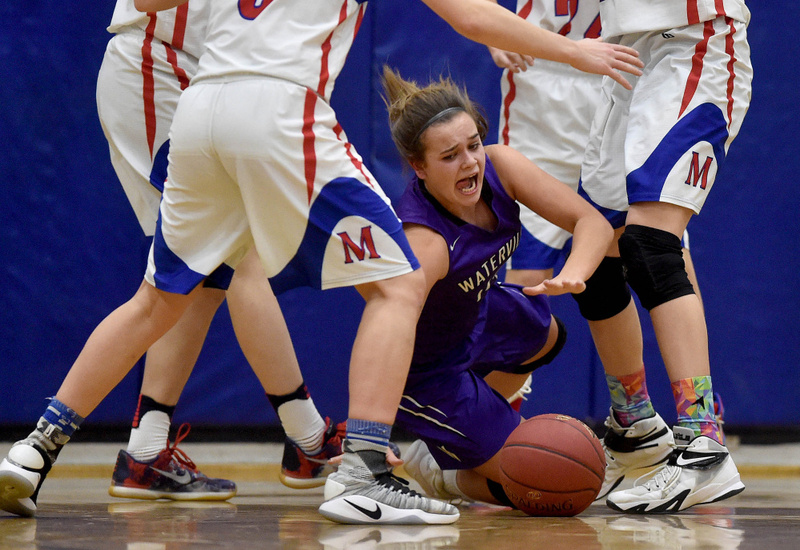 The Eagles kept pouring it on in the third, pouncing all over Waterville’s errant passes and missed shots and taking a 48-15 lead by the quarter’s end. Holmes took a backseat with the game out of reach, but her teammates kept up the pace. Gabrielle Wener scored five points in the third on her way to 10 for the game, and Brodeur, the other half of Messalonskee’s duo in the post, had four. Katie Seekins and Alyssa Genness finished with eight points for the game. The defense was just as impressive. 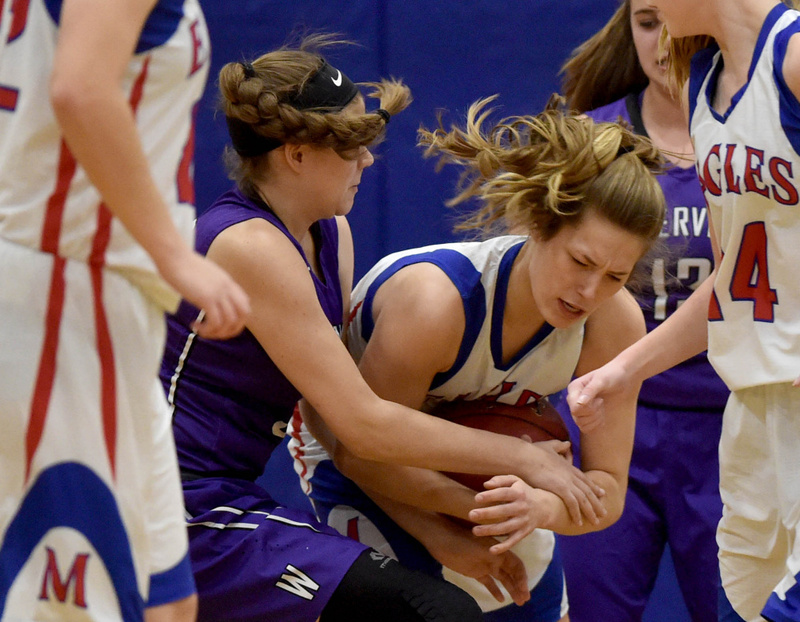 The Eagles held the Panthers to one field goal in the second and third quarters combined, and Jordan Jabar, Waterville’s talented forward, finished with 11 points while being hounded aggressively by Turner. The offensive and defensive combination was simply too much for the Panthers. Rodrigue knew his team could have played better, but was ready to tip his cap afterward. The Eagles don’t regard themselves in such reverential tone, however.